Is there any alternative to above is available ? Search amazon, flipkart and others for “anti slip mats for stairs”. Thanks for the reply. yeah, we were using mats. And For floor of about 1000 sqft. to enable anti skid, what can be the solution? Heard there exists some chmecial solutions which can be applied to the existing tiles or granite. Could please throw some light on this ? Mats alone can be a hazard. They must have an anti-skid backing like rubber. The whole idea of a granite floor is to have a no maintenance floor. Any coating put on it will require periodic maintenance. A lot of spray on and other coatings are available for treating ceramic tiles and granite floors. Available from Amazon and other vendors. Many cities do a job work for this as well. How about making horizontal grooves and making the granite surface rough between grooves. I like this design as it won't require any extra material which needs maintenance. Thank you for the reply. This type of groves we already had. Today we tested some solution. The roughness has increased. The vendor says it will lost for 5 years. But heard from our staff that, 2 yrs before we have experienced this solution which lasted for only 6 months after been applied on the floor. After that again the floor lost its roughness. 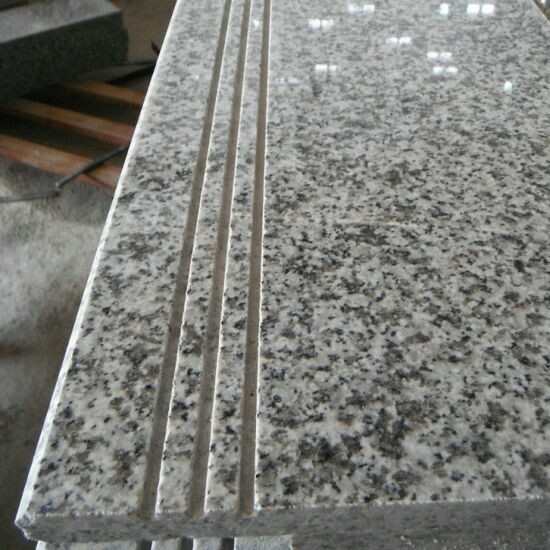 Why should a rough granite lose roughness? It is a very hard material. More likely that the roughness collects soft muck that levels it. Various kinds of abrasive wheels are available for roughening floors. Incidentally we have polished granite floors all over and stairs in our house. No problem over nearly two decades.